A recent survey* conducted of baby boomers age 45 and older determined 83 percent of those surveyed have medical coverage. The study showed that 9 out of 10 older Americans (over 45) understand that routine dental check-ups can help prevent heart disease and other chronic conditions. This awareness contrasts with the fact that only four in 10 older Americans (41 percent) say they currently have dental coverage. Most indicate that they need more information about what to do about future costs and changes to their dental plan upon retirement. A majority of Older Americans with dental insurance are concerned about maintaining their dental coverage upon retirement, with 62 percent say they are concerned about how coverage will change and most admitting they lack information and are not aware of all their options. Bottom line, this generation wants to be informed about the options available after retirement and about supplemental dental insurance coverage. In comparing baby boomers to the previous generation, baby boomers are significantly more interested in information about dental insurance options and supplemental dental coverage for retirement (70 percent versus 59 percent). 27% – would pay more for dental insurance if it included benefits such as fitness programs and legal services. 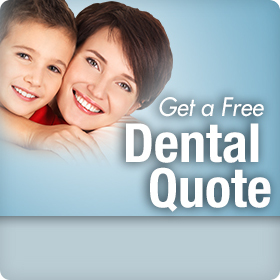 On this site you will find that we offer a variety of supplemental coverage plans, which include dental and vision services. Our plans include dental exams, cleanings and vision benefits and can be packaged with supporting resources such as travel assistance for those who encounter a medical emergency while traveling (including medical evacuation, and assistance in replacing lost prescription medications or contact lenses). *The Wellpoint study reached a national sample of 2,500 American adults ages 18 and older, of which 1,563 were over the age of 44. For the purposes of this survey, “older Americans” are defined as Americans who are ages 45 years and above (n=1,563), including Americans 45-64 (described as baby boomers=1,142) and Americans 65 years and above (n=421). The margin of error for the older Americans sample is ±2.5% at the 95 percent confidence level. This means that if we were to replicate the study, we would expect to get the same results (within 2.5 percentage points) 95 times out of 100.